Joseph is interested in the social, environmental, and economic trade-offs in energy development, and in particular the social conflicts arising around utility-scale wind farm siting and hydropower relicensing. His master’s research focuses on the relicensing of the Yuba River Development Project, a large hydropower project on the Yuba River in California. Joseph is also a Research Assistant in the Electricity Markets and Policy Group at Lawrence Berkeley National Laboratory (LBNL), where he researches public acceptance of wind power. Before graduate school, he was the Director of Training and Outreach at the KidWind Project, an organization committed to improving K-12 renewable energy STEM education. Joseph is a 2015 Switzer Environmental Fellow and a 2015 Hydro Research Fellow. 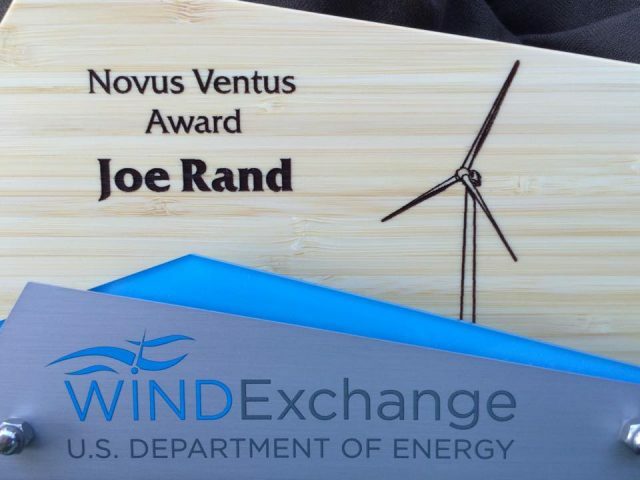 He was awarded the “Novus Ventus” award from the U.S. Department of Energy’s Wind and Water Program at the 2015 WindExchange Summit. He earned a B.A. with honors from Macalester College. Second-year ERG M.S. student, Joseph Rand, thought he would be working on social perceptions of wind power when he came to the program—and he has! But he has continued to chart new waters, as well. In this interview, Joe tells us how the interdisciplinary ERG community gave him the freedom to follow his passions. 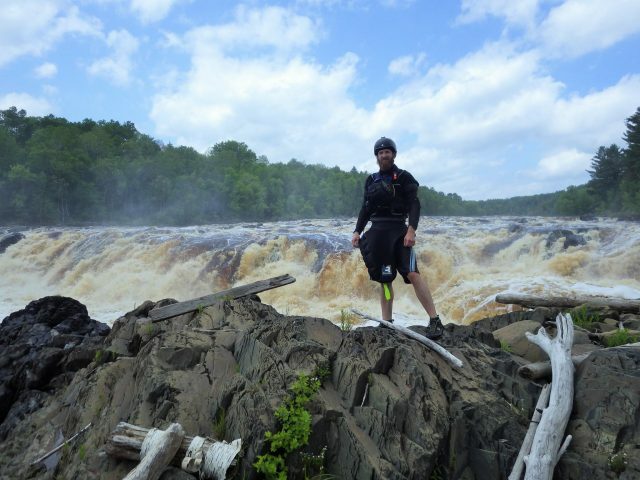 As an avid kayaker, Joe has a passion for rivers. In his Master’s work, he is staying close to his passion by exploring hydropower in the context of licensing, energy markets, and environmental protection. Read more about Joseph’s research and experience at ERG below. 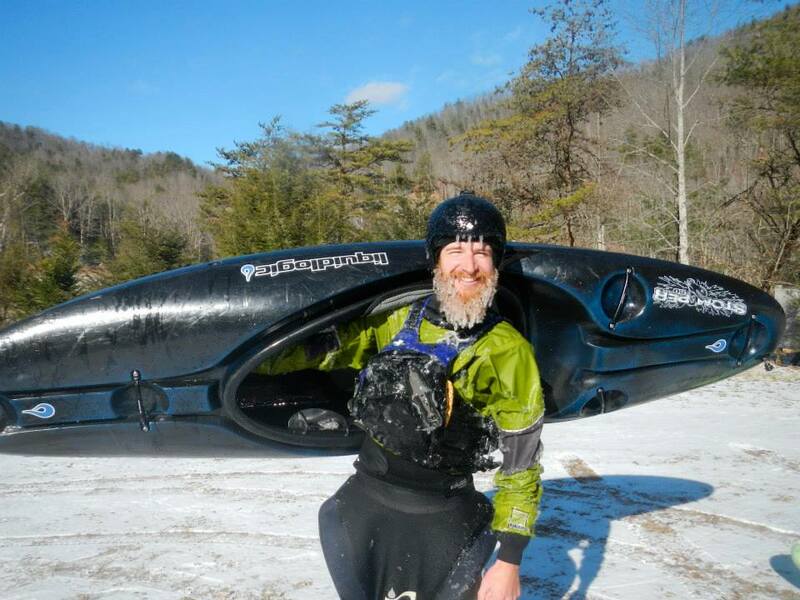 Being a whitewater kayaker, this project really piqued my interest. I came to ERG expecting to focus my research on public acceptance of wind energy in the U.S. I was really fortunate to get a graduate student research (GSR) position at Lawrence Berkeley National Laboratory (LBNL) to contribute to a comprehensive, nationwide study on this subject. It has been really exciting for me to be a part of the research team on that project! However, doing that work with LBNL also opened up a door for me to pursue a completely different research topic for my master’s research. Last year, I got plugged in with some environmental non-governmental organizations (NGOs) doing economic cost-benefit analysis on the relicensing of a large hydropower project here in California. Being a whitewater kayaker, this project really piqued my interest. So I turned this work into my master’s project, and have been loving it. In a nutshell, I am examining the costs in lost generation and revenue to the hydropower operator if a new license required more environmentally protective flows below the dam. Historically, in the relicensing process, these types of analyses have been very coarse and did not accurately model complex power markets. So we’ve been able to get a clearer picture about exactly how much the environmental flows would cost the licensee. That was powerful to me because it was not only intellectually interesting but also had an impact in the actual relicensing negotiations for this project. If we reduce hydropower generation to provide environmentally protective flows, some quantity of electric demand will be re-dispatched to natural gas, leading to carbon emissions. I am quantifying the greenhouse gas (GHG) impacts of this decision and considering the value of local environmental and social benefits from these managed flows versus the global environmental and social costs of the increased GHG emissions. How might climate change impact hydropower generation and revenue at this project over the course of a new 30-50 year operating license? Federal Energy Regulatory Commission (FERC) regulators currently do not consider climate change AT ALL in the process of hydropower relicensing, but it is very likely to have significant impacts on a near-term time scale. All of this work has been very exciting to me—and not at all what I expected to work on when I came to ERG! ERG gave me the freedom to jump into a research project that fully captured my passion to examine how energy development and management impacts society and the environment. I did not feel constrained to work on a project that I was not committed to. ERG also positioned me to examine these questions with a broad, interdisciplinary lens. So I am not falling into the trap of only seeing one side of the issue. Isha Ray’s social science methods class, Duncan Callaway’s power systems engineering class, and Severin Borenstein’s energy economics class have all deeply informed and shaped the same piece of research. That’s a powerful thing when you think about it! ERG also gave me a great deal of credibility when speaking to others about my work. I’d like to share a story about that: I recently traveled to Washington D.C. to speak with some Senate staffers about the policy implications of my research. As we made our introductions, I learned that Senator Ron Wyden’s advisor on Energy and Environment nearly came to ERG and had audited ER100 with Dan Kammen. ERG’s reputation and credibility preceded me in that meeting, and it really set me up for success. I chose ERG, in large part, because of the people. When I looked at the staff of organizations doing work I found compelling, I was constantly coming across ERG alumni. When I arrived to visit, I was really impressed with the current students and their work, too. ERG students have such a wide range of research interests, but each is so passionate, rigorous, and curious. I also loved the reputation of scholar-activism that surrounds ERG. Finally, I was drawn to the interdisciplinary nature of ERG. In all honesty, I’m not the best engineer. I’m really not the best social scientist, economist, or ecologist either. But I like to learn and speak the language of all these fields. ERG allows people like me to keep their toes in a range of disciplines that they find interesting. I recognize that I have experienced a lot of privilege in my life to get me where I am today. I look around at other white men, and it seems like sometimes people exploit this privilege to try to “get ahead.” I guess, for me, recognizing that privilege has driven me to try to explore equity and social justice questions in my work. The local opposition movements to wind energy development raise some really interesting social and environmental justice questions that I’m keen to examine. I guess the other thing is that I’m so grateful ERG is not a competitive program among students. So instead of competing with my fellow ERGies (of all different backgrounds and identities), I just get to support, encourage, and celebrate with them. What advice do you have for prospective students, what can they expect? Search broadly for funding—and don’t give up. There are a lot of opportunities, even though it can seem sparse at times. And ERGies are very fund-able! You just need to find the opportunity that is right for you. Meet regularly with faculty—not just your adviser. Make an effort to share your work and get insights from a range of ERG faculty (core and affiliates). They will each have very interesting angles and recommendations for you. Don’t get stuck only talking to one adviser! Pick a research project that is genuinely interesting to you. There is no reason to spend this much time doing something if you don’t deeply care about it. Use the network. The ERG community is big, brilliant, and very supportive. Don’t be shy about reaching out to ERG alumni. Hydropower is not exactly a new technology, but we are really just recently getting a handle on the range of environmental and social impacts from hydro and how to manage them. My work is cutting edge because the U.S. has a huge number of hydropower dams up for relicensing over the next decade, and these decisions set requirements for up to 50 years of operation. That means it is really important to get it right, and the window for decision-making is small. It is extremely important to understand the trade-offs and costs/benefits of different operational requirements. In particular, the work is cutting edge because the current regulatory process is not at all suited to account for how climate change is impacting hydropower. These types of analyses need to be done now, and FERC is very resistant to it. Finally, this work is cutting edge as our electric grid moves toward more and more variable generation (i.e. renewables). Hydropower is a very important asset for balancing the grid, but we need to understand how different operating requirements may affect hydro’s ability to provide these grid-regulating services. Who have you been working with at ERG and how has this experience been? At ERG I’ve worked most closely with my primary adviser, Duncan Callaway. My work does not exactly align with most of Duncan’s work, but I think he is really skilled at asking interesting questions and providing some direction—even outside of his main expertise. Also, since Duncan led our ERG Master’s Seminar series, it was easiest to develop a relationship with him and my research. Also, I have to say that my Master’s cohort is great, too. I think this is one of the greatest strengths of ERG: the inspiration and support you can draw from your peers. Master’s Seminar with these guys was very helpful, and it is always fun and productive to bounce ideas around or hear about their projects. 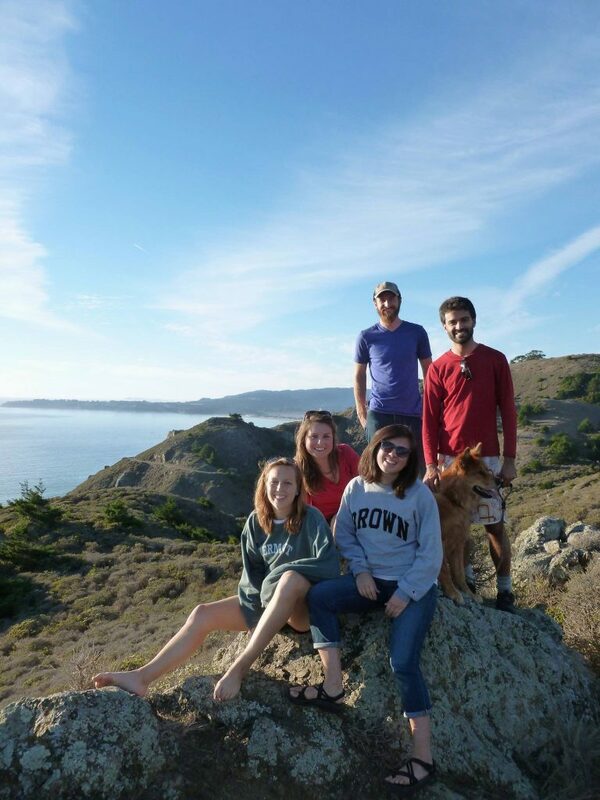 I’ve also been working a lot with ERG alumni at LBNL. I’m surrounded by ERG graduates: Ryan Wiser, Andrew Mills, Naim Darghouth, Jo Seel, etc. I love working with these guys. They are really inspiring and demonstrate high-quality research. It is an honor to contribute a little bit to this team and fun to follow in their footsteps. What you see yourself doing next? I think if you told me two years ago that I would graduate from ERG and walk immediately into full-time work with the Electricity Markets and Policy Group at LBNL, I would have laughed out loud. But here we are. I am committed to continuing my work with LBNL next year, which is really fantastic. I will continue to work on the public acceptance of wind energy project, as well as some research on residential real-estate impacts from third-party-owned solar PV, and a couple other renewable energy projects. I think if you told me two years ago that I would graduate from ERG and walk immediately into full-time work with the Electricity Markets and Policy Group at LBNL, I would have laughed out loud. But here we are. I feel really lucky, but I’ve also worked hard for it. I have to say that being a full-time Master’s student and keeping a part-time GSR up at the lab, while also trying to find time to work on a separate Master’s project was a challenge at times. But it was worth it. I’m pretty excited to get back to the 40-hour work week and to get my nights and weekends back. In the future, I would really like to pick up some more hydropower work. LBNL does not currently do a lot of hydro work, so I may try to bring some in or pick up some external contracting work on this topic. If anyone has any leads here let me know!